Took whole grain bread (because that’s what I had a loaf of) and tore each slice into quarters. Then I drew out the Ivormec 1% cattle injectible and divvied it up 1cc/quarter slice of bread. This dose actually treats 110# of dog for heartworm prevention and intestinal worms. It’s relatively innocuous to Malamutes (these are NOT collie breeds) and so long as it’s stored in a dark place and used as soon as it’s drawn up, it will last a good long while. Not at my house with 14 dogs, but at most people’s houses. Ivormec is the same active ingredient in heartguard and it’s ~$1/dog/month. When the whole sheet pan was filled with Ivormec-dosed bread slices, I added a dollop of salmon oil from the pump. No one even thought about refusing their “treat.” The only problem I had was greedy Guses who wanted TWO treats. Sprayed TD’s coat with a quart of Show Sheen and worked it into his coat, tail to nose. More about TD’s coat below. Everyone gets kibble plus DE today. 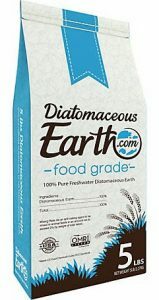 DE is diatomaceous earth, a mechanical dewormer instead of a chemical dewormer. It works against intestinal parasites. Most dogs get Chicken & Rice, but Pax & Yuki, mama Gypsy & babies, Mensa & Tok get Salmon & Pea (grain-free). Pax & Akai also get Dermax for old-age aches & pains. And Gypsy’s 2 pups get Day1 (of 3) of powdered Panacur (fenbendazole 22%). Had already mixed up a gallon of Show Sheen from concentrate. This is a horse product but works great as a detangler for average Malamute coats. And it is that time of year, the coats are JUST starting to think about breaking. This is where the heavy winter undercoat starts to let loose from the skin but hasn’t let loose from the guard coa, it clumps and between these clumps are the breaks where you can see down to skin level. So the Show Sheen was a prevent defense sort of move for most of the dogs. All 13 dogs got the benefit of Show Sheen sprayed on their coats and worked in by hand from tail to nose. Except with TD. TD is a long-coat with a cottony undercoat. His guard coat is wonderfully coarse and naturally oily (as a Malamute coat should be), but his undercoat is cottony and it has already broken and clumped. All by humself, he got a quart of Show Sheen worked into his coat last night and left to dry overnight. That’s the true genius of the product. It detangles better the next day then the day it is applied. And it works great (on normal coats) the day it is applied. But the NEXT DAY, boy, howdy, it really works. How do you groom a badly matted long-coat Malamute? One 4″x4″ square at a time. Or in this case, I started at his head a couple of days before because every time I tried to get to the rear legs, which is where I preferred to start, TD would whip around and give me nuzzles and leans and hugs and beg me not to touch him THERE. So I got his head, neck, chest and shoulders done first. But today was the back end. Because I needed to start at the back legs in order to get under the body coat. I start on one rear leg, with a nickle-sized dollup of Cowboy magic and worked it from his foot UP towards his hip with my hands, getting into the coat, and working between breaks in the coat. Then I start with a grooming rake, brushing up from foot to hip. This hair is short without a ton of undercoat but I got a bunch out because it was all loosened up by first the Show Sheen and second the Cowboy Magic. I worked slow and easy, taking tiny “bites” of the undercoat. I think of it as carding wool. I’m only moving the rake a quarter inch UP for each swipe. If there is a tangle, I let the rake come out of the coat and go back. This way I’m not yanking fur out by the roots, I’m teasing the fur out a tiny bit at a time. I’m pushing the coat up with one hand and coaxing the undercoat out with the rake with the other, a tiny 1/4 inch at a time. This way I get under the bulk of the body coat around the thigh area and can start at skin level with each teasing 1/4-inch swipe. So Maintenance grooming was 3/4 gallon of Show Sheen on 13 dogs and 1/4 gallon on TD before breakfast. After breakfast, I spent an hour teasing out TDs coat. Got all the way back to his shoulders and from his toes up to mid-thigh. Spent another half-hour on TDs coat. Got all the way up to his hips on both sides and started back from one shoulder. To grab lunch, go to the mailbox, and check on a calendar widget for wordpress, which I haven’t found one I’m happy with yet. Topical for everybody except Akai who is hypothyroid and having coat-loss problems but his kennelmate Tori got hers and they sleep in cedar shavings, so he should be fine until I can get the oral kind for him. And TD who I’m still working on. Spent another half-hour on TD’s coat, got one side done. Kiki’s new owner called to check in. Talked a potential puppy buyer out of a Malamute because Mals are not that hypoallergenic if you have to carry an epi pen when you shop at Wal-mart in case the person beside you has dogs. Gave some advice on a rescued Siberian I’d been asked to help place, but the ask-er ended up keeping him. YAY! So we talked about getting off his life-long chain. Another phone call from a Wayeh puppy owner who also adopted a Siberian who was recently neutered, and having trouble with his cone of shame. Another half-hour on TD. He’s starting to look FINE! At least on top. Both sides done, with just a little left along his spine. Neck & chest are done. He’s got some globs of hair at his elbows, britches and belly. But I’m working on them. Went back one more time. Got his belly and inner thighs. The only problems left are 1 mat behind an ear, a mat on the point of each elbow, and the close immediate area around his buttocks and tail. I was convinced I might have to shave parts of him, but now… not so much. Will work on him again tomorrow. Then a shampoo and condition and power dry him to get the last remaining bits of undercoat. Then pics.